thanks so much for your participation in the p.f. chang’s giveaway! the winner of the $25 p.f. chang’s giftcard is… deb christie! thanks for entering and congratulations! please email me your address and i will send you your prize today. For us, date nights are usually dinner and a movie. Although my hubby is not much of a movie fan, he does not have a choice. 🙂 We love to eat at casual dining places, which seems to always include P.F. Chang’s. I LOVE asian food and I cook it very often at home. The ambience of P.F. Chang’s is very romantic and makes you feel relaxed. 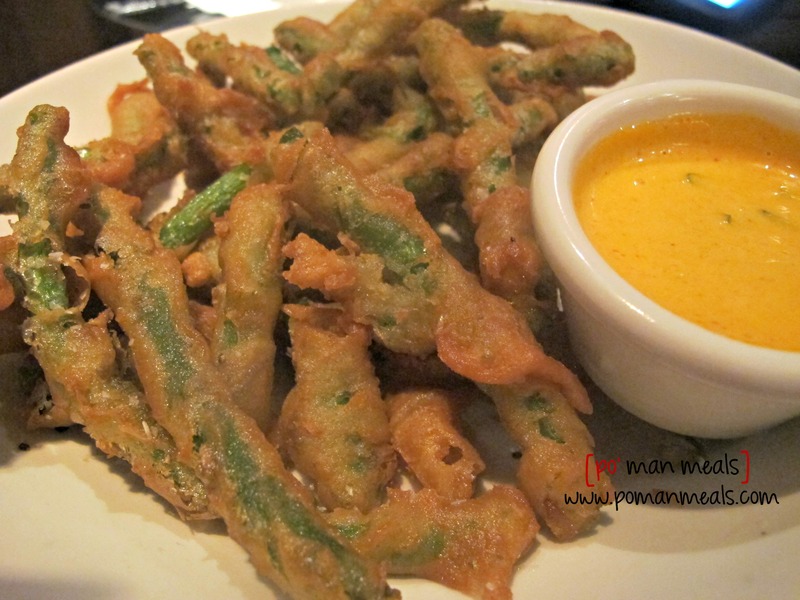 My favorite appetizer to order on their menu is the fried green beans. Have mercy! I could eat those beans for breakfast, lunch and dinner! The sauce? Drinkable! The added bonus was the amazing staff. Our server named Jill made our experience memorable. The manager named Ryan was just as awesome! So anyway, although I ordered the fried green beans, Jill wanted me to taste the Orange Ginger Beet Salad, off the Winter Seasonal Menu. I am very thankful I was able to taste this salad. Your tastebuds will go crazy. Mongolian Beef and Fried Rice is usually my entree of choice. However, one thing that I love the most about P.F. 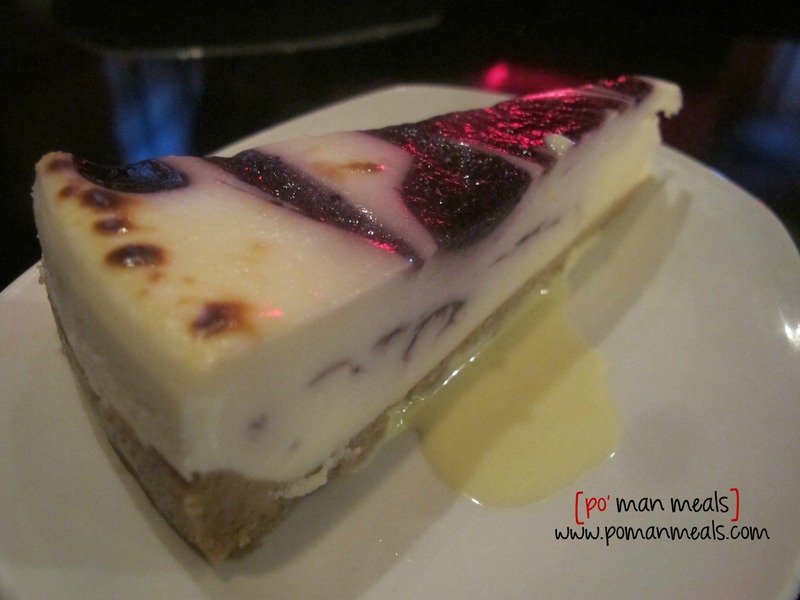 Chang’s, is they always have new items to try on their menu and the food is consistently good. Okay, that was 2 things. 🙂 Anyway, the hubby ended up with my entree of choice, Mongolian Beef. While my hubby and I were there, we saw that they had a new Winter Seasonal Menu. The first entrees that caught my eye were the Firecracker Chicken and the Miso Glazed Salmon. I am a HUGE sucker for miso, as I LOVE miso soup. So I ordered it and… passed out. Absolutely delicious. The bok choy is still slightly crunchy and so was the daikon radish. The salmon was seared nicely and the savory broth was amazing. For dessert, I again ordered off the Winter Seasonal Menu and got the Sweet Vanilla Cream Wontons. They taste like little bites of heaven. When you bite into them, there is this luscious cheesecake tasting center, followed by a crunch from the wonton. Lastly, our amazing manager Ryan wanted me to taste P.F. 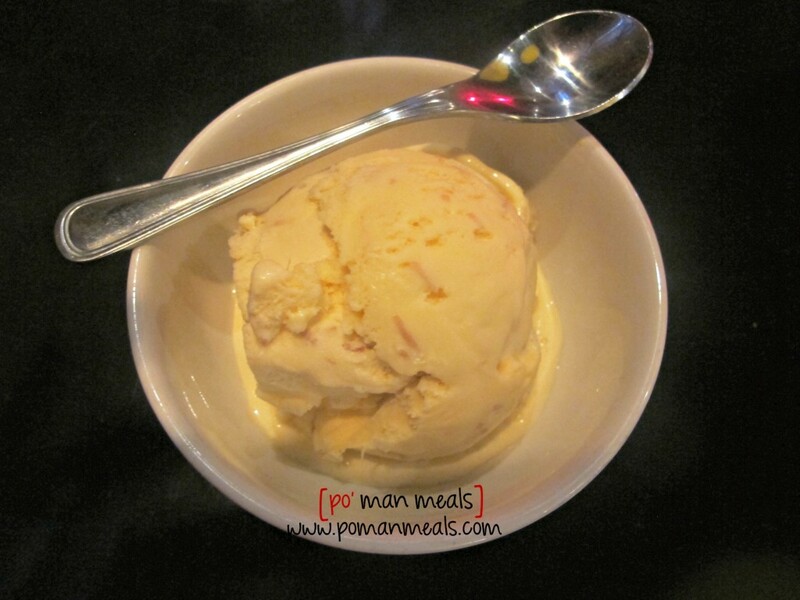 Chang’s signature ice cream. It is roasted coconut and pineapple ice cream that usually comes with their fried banans. It should have been named, Oh. my. goodness! To top it all off, on the homepage of P.F. Chang’s website, there is a $10 off $40 coupon available to print for a limited time. Ya’ll know how much I like to save! Anyway, we had an amazing time and can’t wait to go back again! Want to try this delicious food yourself? Find an P.F. Chang’s near you and let me know how you liked it! Enter to win a P.F. Chang’s $25 giftcard! 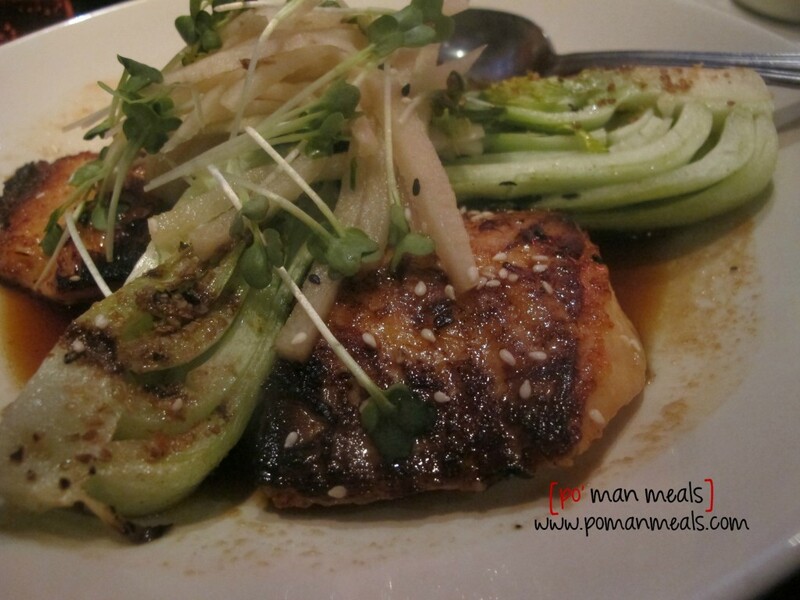 Check out P.F Chang’s Winter Seasonal Menu and let me know which item(s) off the menu you would like to try. I’ll draw the lucky winner on February 27, 2014 at noon via a random number generator software program. Don’t forget to Follow @pfchangs on Facebook and Follow P.F. Chang’s on Pinterest! Good luck! Sweet vanilla cream wontons…oh my! Oh my goodness such decisions!! I can’t decide between the Crimson Spritzer or the Red Goose Martini! And I HAVE to have the Fired Green Beans!Then between the Firecracker Chicken and the Red Wine and Pepper Braised Beef! 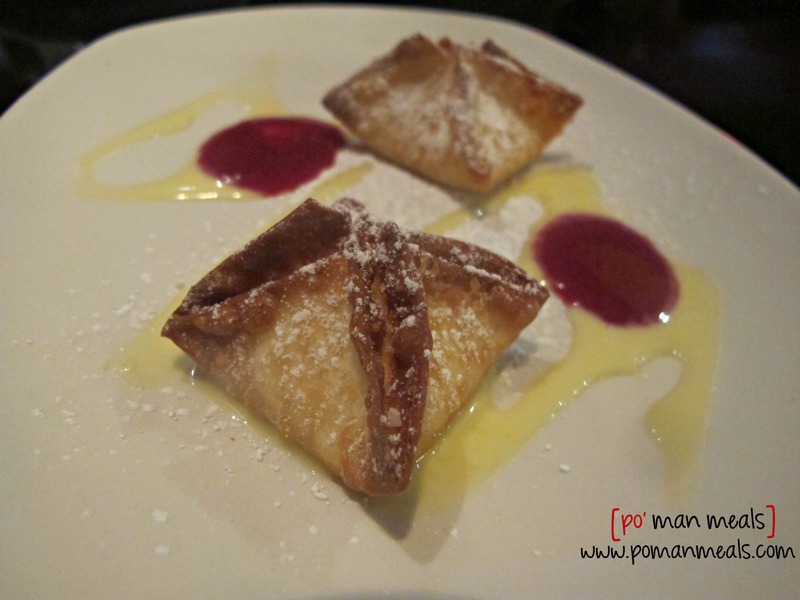 Then still… between the Chocolate Raspberry Wontons and the Sweet Vanilla Cream Wontons! Oh my! They all sound so amazing! This menu sounds delicious. I would also try the miso salmon and the chocolate raspberry wonton s. I don’t get out much either, but this would be where I go next. Thanks for the great review. 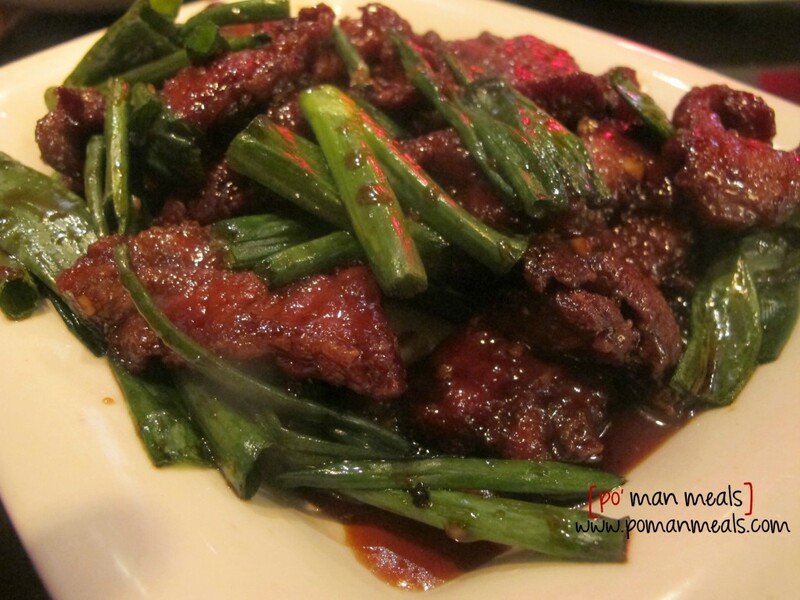 I ate at PF Chang’s last week and loved it. I didn’t order off the Winter Menu, but wish I would have. The firecracker chicken and chocolate raspberry wontons would be on my order. I would order those fried green beans too—they look amazing. I did order the lettuce wraps and they are the absolute best you can get anywhere. I would love to get to go back there. But honestly, they ALL sound amazing! Would love to try any or all of them. Drool worthy. Amazing review! Awesome pictures! Luscious description, my mouth is watering and now I’m craving the Miso Salmon. I had P.F. Changs in Indianapolis, some years ago and LOVED it! I did not even know we had one in our area until I read your review! I looked it up and we DO!!!! I can’t wait to take the bookclub gals there next meeting. We eat out every Monday night, once they try this it will be every week at P.F. Changs instead of Carino’s. miso salmon & a red goose martini! P F Changs is often chosen for family birthday celebrations. We All love it! I would have to start with the fried green beans, they are to die for! I would love to try the Miso Salmon for my entree. It looks and sounds delicious! I am usually too full or maxed the budget to order dessert. I hope to win this so I can indulge, even get dessert! Thanks for the chance..
Would love to try so many but I think the one that most intrigures me is the Chili Shrimp Boa! I want to try the chocolate raspberry wontons. So bad, that I also posted this to your FB page! It’s been too long since we’ve been there. I would have the Firecracker Chicken and Chocolate Raspberry Wontons. The Firecracker chicken looks like it could be a tasty way to warm up a winter evening. Miso Glazed Salmon looks amazing! Off the P.F. Chang’s Winter Seasonal Menu I would love to try the Orange Ginger Beet Salad and the RED GOOSE MARTINI. I would love to try the Red Wine and Pepper Braised Beef from the winter seasonal menu. 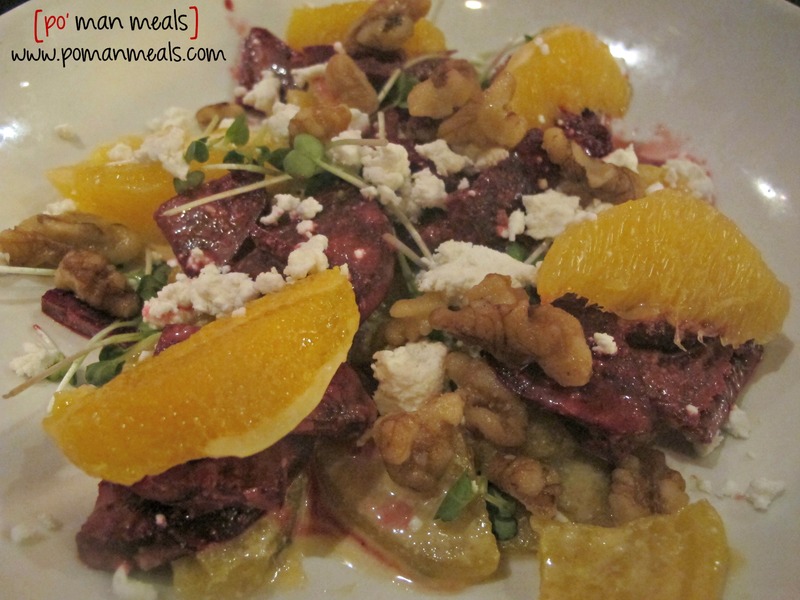 I want to try their Orange Ginger Beet Salad! I would like to try the Firecracker Chicken! I would like to try the firecracker chicken. I would like to try the RED WINE AND PEPPER BRAISED BEEF. I would like to try the CHILI SHRIMP BAO. I would like to try the miso glazed salmon. I think I would like the Red Wine and Pepper Braised Beef the most. I want to try the Firecracker chicken. The Red Wine and Pepper Braised Beef sounds amazing! I would love to try the Sweet Vanilla Cream Wontons. I would really like to try the Chili Shrimp Bao. It looks delicious! I think i would try Firecracker Chicken. Shanghai Waldorf Salad. I love Kale and the miso lime vinegarette sounds great. The firecracker chicken sounds great! I would love to try the Firecracker Chicken. Fresh chopped kale, endive, radicchio, crisp apples, grapes, celery, grape tomatoes and candied walnuts tossed in a light miso-lime vinaigrette sounds amazing. I would love the Firecracker Chicken! i want to try the chili shrimp bao. I’d try the Miso Salmon and the chocolate Raspberry wontons! I love PF Changs and their Firecracker goodies! I would love to try the firecracker chicken! The Firecracker chicken would be good. I would love to try the Miso Glazed Salmon. I love salmon and this one just looks so good! I want to try the Orange Ginger Beet Salad. The Sweet Vanilla Cream Wontons look super yummy! I want the Miso Glazed Salmon. Like miso, like salmon. Thanks for the giveaway…the RED WINE AND PEPPER BRAISED BEEF looks delicious ! the Ginger Beet salad sounds delicious. I want to Try the Miso Glazed Salmon to, because I LOVE LOVE LOVE MISO SOUP and I wouldn’t mind trying the Red Goose Martini. 🙂 THANKS FOR THE CHANCE AT THE GIVEWAY! BY THE WAY YOUR PICTURES ARE AWESOME! Red Wine and Pepper Braised Beef – oh my mouth is watering! I really want to try the Firecracker Chicken and the Chocolate Raspberry Wontons for dessert. I’d try the Chili Shrimp Bao and Vanilla Wontons! Yum!